For 15 minutes each night, a portal opens in Tamara's barn and a horde of ghosts spills into her yard. She and her co-worker, Dex, work together to find a way to help Cal and the thousands of spirits stuck in the void to cross over. 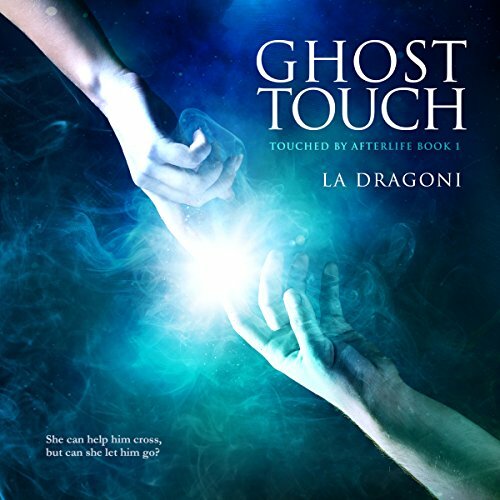 When she learns she has the ghost touch - the ability to touch the ghosts as if they were corporeal - and she accidentally helps a little boy cross, she believes it might be possible. But not all the spirits play nice. When they learn they can sip energy from her ghost touch, they become greedy, putting her life at risk. Each time Cal has to pull her from the mass of ghosts, her touch restores him more and more until he is at danger of being stuck on earth - forever, which is very enticing to Tamara the more she gets to know him. Will she and Dex figure out how to help the spirits cross? And if they do, will she be able to let Cal go? This was an interesting story. Overall all I liked it but I found it hard to connect and accept Tamara's insta- attraction/obsession with Cal. She seemed too quick to accept the fact that ghostly beings were coming out of her barn on a nightly basis. I understand her want to help them cross but the attraction to a skeletal figure who she barely knows and only sees 15 minutes each night is a little hard to come to terms with for me. That being said I like how the story comes full circle and you get to learn about some of the ghosts stories. Darlene Allen did a good job as narrator. What made the experience of listening to Ghost Touch the most enjoyable? I love ghost, stories and I this th his wash better than most. What about Darlene Allen’s performance did you like?